Regional Secretary Atty Jamar M. Kulayan signs DepEd-ARMM Regional Memorandum number 264, s . 2014, for the adoption of Weblog-based documentation and reporting system for selected programs. "Weblog-Based Program Documentation, Reporting and Cross-Learning System is the use of online technology particularly free weblog service to track program progress, promote cross learning and continuous improvement among implementers, and engage the wider community in the spirits of transparency, democratic participation and accountability. It makes program monitoring and feedback quick, easy and inexpensive." This innovative system will cover Special Programs in the Arts (SPA), Sports (SPS), Journalism (SPJ) and Foreign Languages (SPFL); Strengthened Technical and Vocational Education Program (STVEP); Science, Technology and Engineering Program (STEP) and Senior High School Program (SHS). To operate this system, Implementing Schools assign one program teacher, who is internet literate, to collate and upload school data into the weblog on a monthly basis; provided all school data shall have prior scrutiny of and approval from the school head. School heads, teachers and students who have access to the internet shall be encouraged to visit, benchmark their school performance and express their opinions and comments in the weblog’s comment box. In expressing opinions and responding to other comments, propriety shall be observed all the time. When the internet in the locality is slow, implementing schools may burn a CD and submit the same to the Regional Office. All compliance and non-compliance will be acknowledged in the weblog. CheckMySchool now in the ARMM! 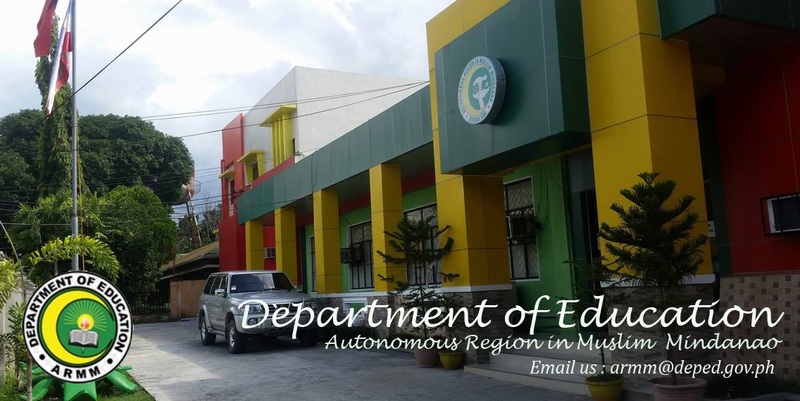 Zamboanga City (20 August 2014) – The Department of Education in the Autonomous Region in Muslim Mindanao will pilot four special programs in 23 public secondary schools in the region this school year to help students develop skills in journalism, arts, sports and foreign language. Noor Saada, DepEd-ARMM assistant secretary for programs, said the special programs are geared for students with different learning styles to express themselves. He said it will also help reduce the number of drop-outs as students who are otherwise bored with the regular secondary program will have other additional motivations to finish school and pursue their interest. DepEd-ARMM is working with ARMM’s Bureau of Public Information, Bureau on Cultural Heritage, Regional Sports Coordinating Office and the Bureau of Madaris Education in the implementation of the program. School heads and teachers who will handle the programs attended a three-day orientation on 12-14 August that included enrichment activities provided by resource persons from DepEd-ARMM’s partner agencies. “They also planned how this program will take shape or will be implemented in their schools in terms of classroom management, school operation, division technical assistance and regional policy and resource support,” Saada said. He said the special programs will be introduced to classes of 35 Grade 7 students who will exhibit inclination or interest in the selected skills. On Wednesday, 13 August 2014, the Australian Government through the Basic Education Assistance for Muslim Mindanao (BEAM-ARMM) and implemented through DepED-ARMM, handed over dressmaking tools and equipment to Pilar Integrated Technical Vocational High School (PITVHS) in South Upi, Maguindanao. The tools and equipment included 25 units of household sewing machines, five units of high speed sewing machines, flat irons, among others. Judy Ann Lozada, 17, a fourth-year high school student at PITVHS, was thrilled when she learned about the assistance to their school. “Malayo ang barangay namin sa kabihasnan pero nakarating dito sa amin ang tulong mula sa BEAM-ARMM (Our barangay is in a far-flung area and I cannot believe BEAM-ARMM reached out to us),” she said. Barangay Pilar is located in the outskirts of Maguindanao province, about 2-3 hours away from Cotabato City. While a provincial road passes through the barangay, commuters must traverse a long stretch of dirt road in and out of the area which worsens travel during rainy season. “We are so grateful,” she said excitedly, eager to hone her skills in dressmaking and tailoring. DepED-ARMM Regional Technology and Livelihood Education Coordinator Corazon Maguate, who was also at the handover, stressed that the techvoc program’s main objective in South Upi is to provide its high school students the opportunity to acquire a TESDA National Certificate (NC) at the community level. 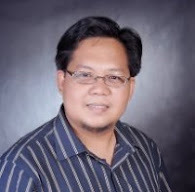 “You don’t need to go to Cotabato City or somewhere else just to earn TESDA certificates since you already have a techvoc school in your municipality,” said Maguate. PITVHS is one of 23 senior high schools assisted through improved curricula and increased competence of teachers. Barangay Pilar in South Upi, Maguindanao is host to three major tribal groups: the T’duray, the indigenous people of the area; the Maguindanaons or the Moro group; and the Christian-settlers. South Upi Mayor Abdullah Campong said during the handover ceremony that the dressmaking tools and equipment “will make a huge impact on their youth.” “I will ensure that the tri-people of South Upi will benefit from this program,” he said, adding that PITVHS will become the center of the town’s techvoc programs and projects. In his speech, Campong shared that the tri-people of the town live harmoniously, “thanks to the Australian Government, this project will further strengthen the ties of my people” he concluded. Through June 2015, BEAM-ARMM is providing 15,000 OSYs and senior high school students with market sensitive and inclusive technical vocational education, training and skills throughout ARMM where there are high concentrations of unemployed and underemployed youth. BEAM-ARMM is a comprehensive education and youth development program that enables children and youth in Muslim Mindanao to develop and reach their potential. The Program delivers accessible and healthy learning facilities, quality teachers, learning materials, and a protective environment for children in need and out of school youth, through effective, transparent and accountable management systems. The Program contributes to the alleviation of poverty in ARMM and, in the longer term, to the emergence of sustainable peace through closely targeted investments in basic education that prepare ARMM to engage productively with economic opportunities. Zamboanga City – School heads and teachers from twenty-three (3) public schools in the ARMM are in this city for a 3-day orientation, from august 12 to 14, 2014, to implement DepEd’s Special Programs in the Arts (SPA), Sports (SPS), Journalism (SPJ) and Foreign Languages (SPFL). Also invited were partner agencies such as the ARMM Bureau of Cultural Heritage (BCH), Regional Sports Coordinating Office (RSCO), Bureau of Public Information (BPI) and Bureau of Madrasah Education (BME). These special programs are geared to provide avenues for expression of students with different learning styles and in so doing be able to keep students interested completing their studies and reduce drop-outs of students who are otherwise bored with the regular secondary program, according to BSE Director Dr Fatima Abubakar. In this the 3-day this event, the target schools were recently oriented about the program “why”, “how” and “what” based from the national guides contextualized to the ARMM setting. They also plan how this program will take shape or will be implemented in their schools in terms of classroom management, school operation, division technical assistance and regional policy and resource support. They have had assessed their capacity and what is needed to implement the program properly, in terms of program equipment and facilities, ICT needs, school head and teacher qualification and training program, and assessment requirement. The breakout sessions were facilitated by Regional Coordinators Bernard Libetario, Kamil Alongan, Helen Piol and Supervisor Saada Tubing. SPA Implementing Schools - Maluso NHS (Basilan), Bacolod Kalawi NHS (Lanao Sur), Amir Bara Lidasan NHS (Maguindanao), Sulu NHS (Sulu) and Pagasinan NHS (Tawi-Tawi). 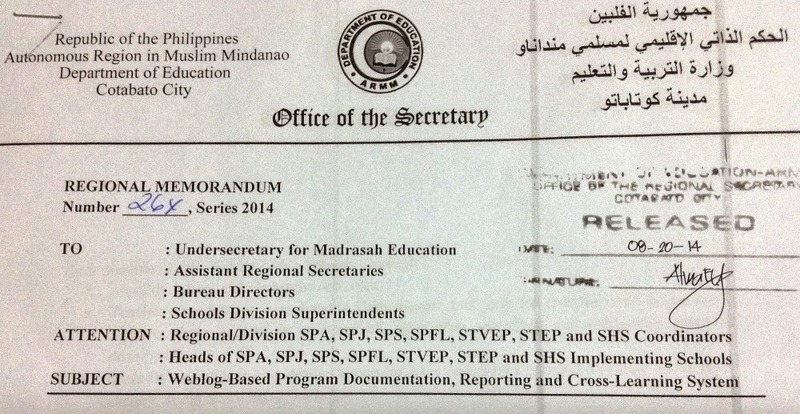 SPS Implementing Schools - Concepcion NHS (Basilan), Kili-Kili NHS (Lanao Sur), Datu Paglas NHS (Maguindanao), Sulu NHS (Sulu) and Tubig-Indangan NHS (Tawi-Tawi). SPJ Implementing Schools - Parang Basak NHS (Basilan), Mananayo NHS (Lanao Sur), Camp Siongco NHS (Maguindanao) Jolo NHS (Sulu) and Batu-Batu NHS (Tawi-Tawi). SPFL (Bahasa) Implementing Schools - Pangutaran NHS, Luuk NHS and Patikul NHS (Sulu); Sitangkai, South Ubian and Ungus Matata NHS (Tawi-Tawi). Immediately after this orientation, the school team will start the groundwork leading to the organization of at least a class of 35 students inclined towards the program focus. Their respective division offices will provide technical assistance in terms of quality assurance and liaising with local government and non-government entities for resource support. Regional Secretary Atty Jamar M. Kulayan said, DepEd-ARMM is committed to provide policy and resource support to insure these schools will serve as models for the ARMM provinces and for future improvement and expansion under the Bangsamoro political entity. The Chevening Secretariat is now accepting applications for the 2015/16 academic cycle, with applications opening today 1 August. According to the official press release, there will be approximately 1500 Chevening Awards offered in the 2015/16 cycle - triple the number offered for 2014/15. This is a significant investment from the UK Government to develop the next cohort of global leaders and is an opportunity simply cannot afford to miss. The scholarship target future leaders, decision makers or influencers. In order to apply for a Chevening Award, applicants must meet the scheme’s eligibility criteria. Applicants are advised to use the Eligibility Checker to see if they can apply. To be considered for a scholarship, all applicants will also need to meet the Chevening English language requirements. For further information on applications, please visit the official Chevening Scholarships website or take a look at their FAQ section. If you are unable to find the answer in the FAQs section, then please send your question via contact us.